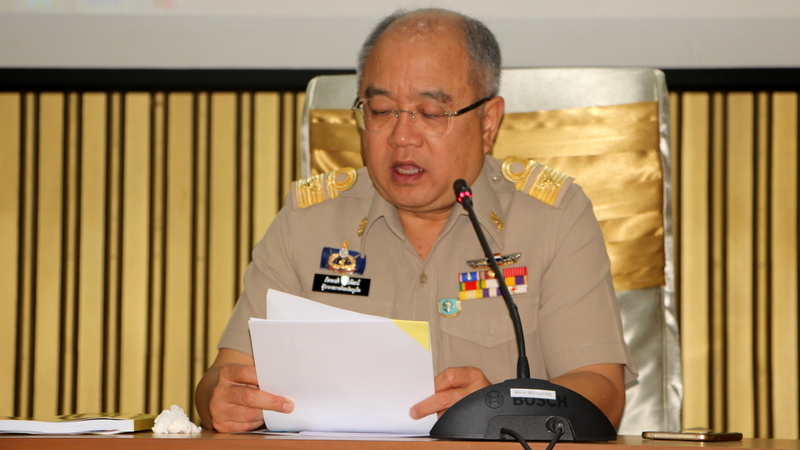 PHUKET: Phuket Governor Phakaphong Tavipatana held a press conference this morning (Apr 23) to announce that Phuket has enough water reserves to serve mains water supply – that Phuket is not amid a drought crisis. 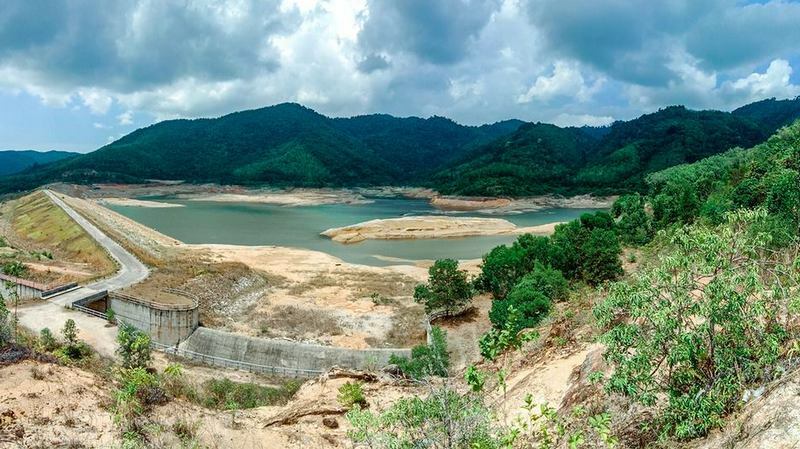 PHUKET: The last water remaining in the island’s three main reservoirs is enough to last 33 days, the Director of Phuket Provincial Irrigation Office (PPIO) has reported. 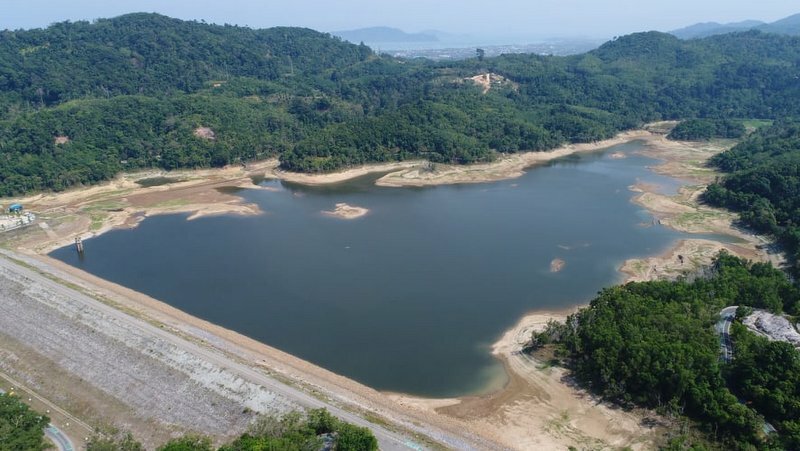 PHUKET: The chief of the Phuket office of the Provincial Waterworks Authority (PWA) is urging people to save whatever water they can as the island’s three main reservoirs hit dangerously low levels – the lowest levels ever recorded by water officials. 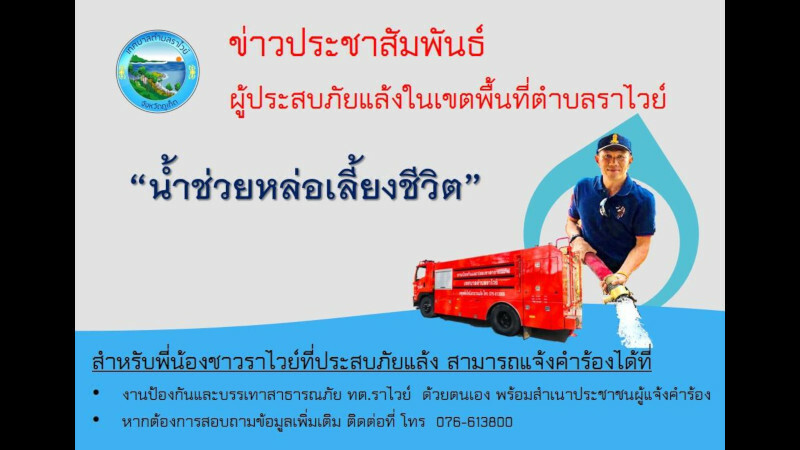 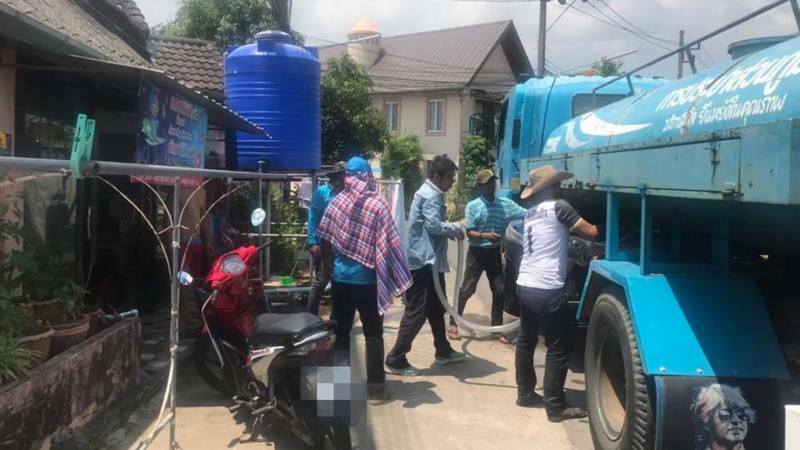 PHUKET: Rawai Municipality has begun offering free emergency water for residents suffering from reduced pressure in the mains water supply, which has left many households without running water. 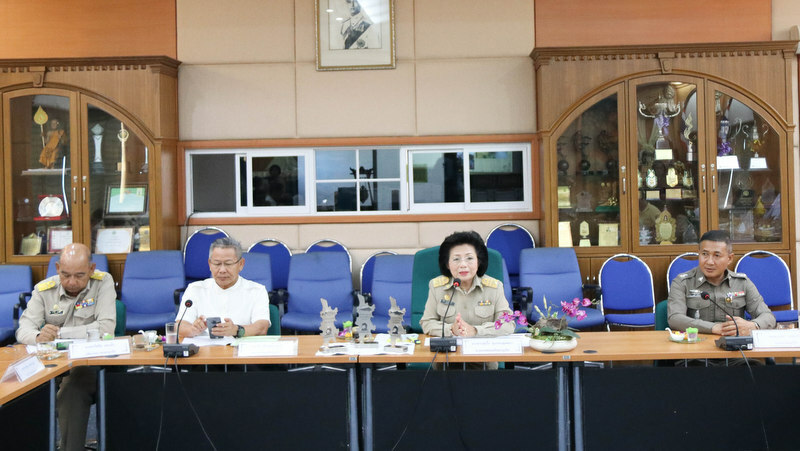 PHUKET: Phuket City Mayor Somjai Suwansupana warned of water sources on the island running dry and announced the second plan for emergency drought preparations yesterday (Mar 25) at a meeting held at the Phuket City Municipality Office. 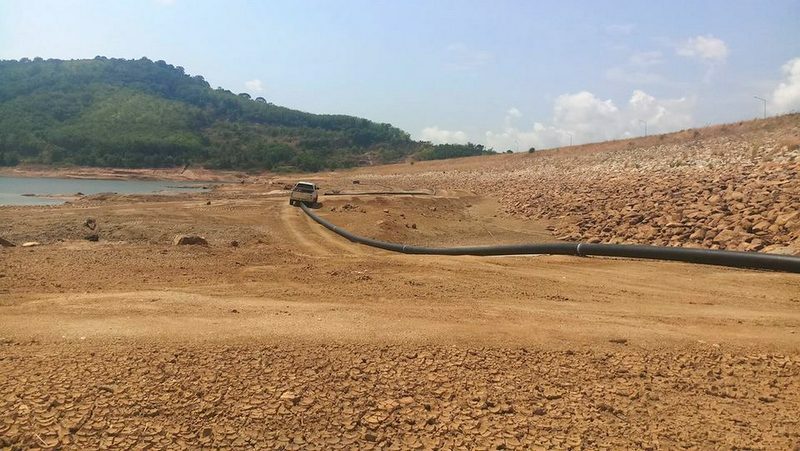 PHUKET: The Governor of Phuket has urged relevant agencies to find raw water reserves to supplement public water supply and to conduct public-awareness campaigns for conserving water use in order to reduce the volume of water residents are using “in case of a drought”. 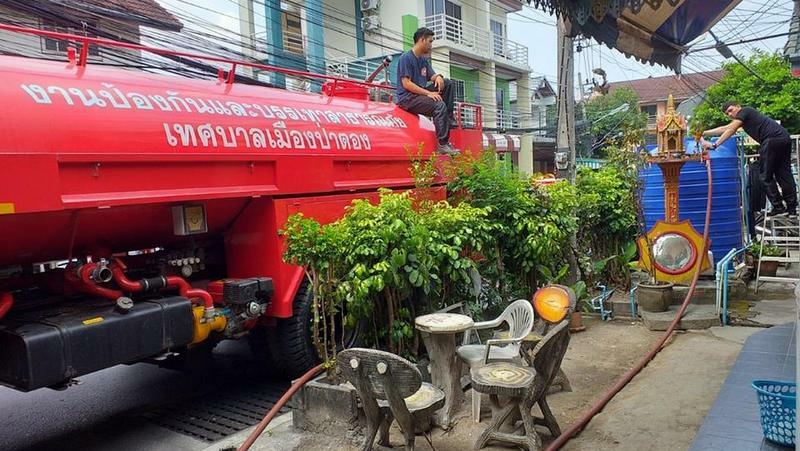 PHUKET: Phuket Municipality has begin rolling out free emergency water supply to residents in Phuket’s busiest tourism town as reduced pressure in the mains water supply has left many without any running water at all. 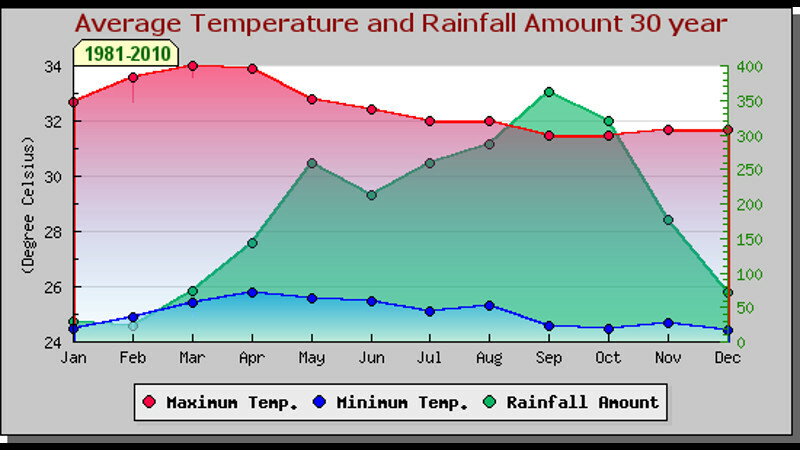 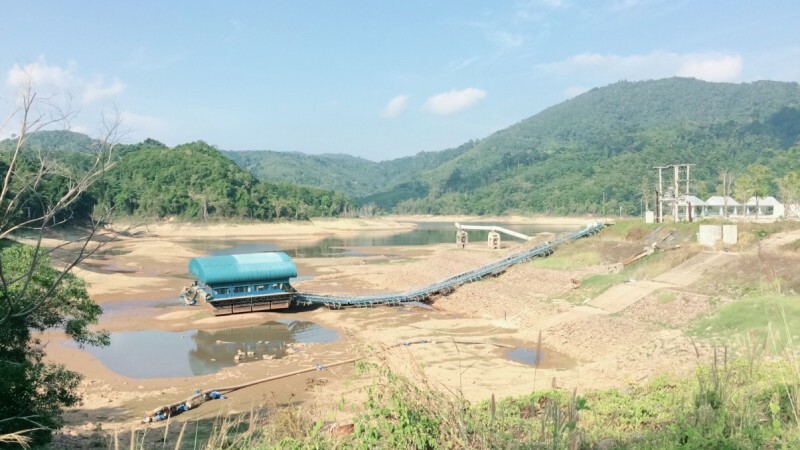 PHUKET: The Phuket branch of the Thai Meteorological Department (Phuket Met) has warned that the annual rains that usually arrive with the southwest monsoon may be late this year due to the El Nino global weather pattern. 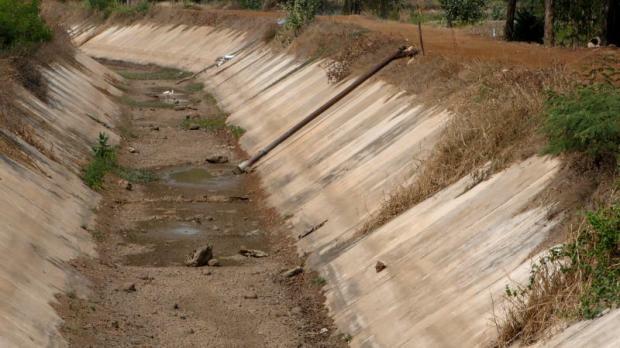 NATIONWIDE: Authorities have made advance preparations even though this year’s drought is expected to be manageable, according to a senior official at the Office of the National Water Resources (ONWR). 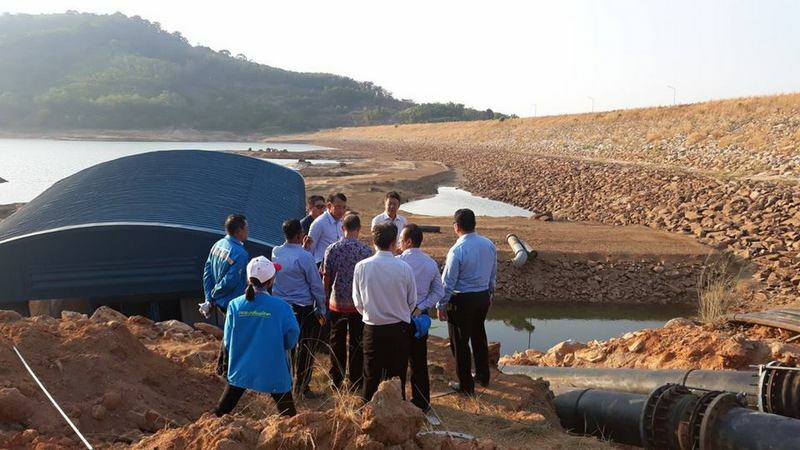 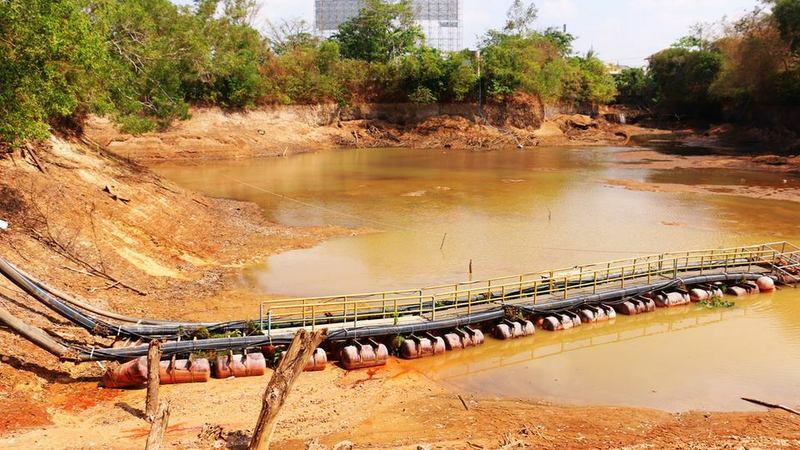 PHUKET: One private company is providing water from its own reservoir to Cherng Talay Municipality free of charge to supply residents as the municipality’s own main reservoirs has run dry. 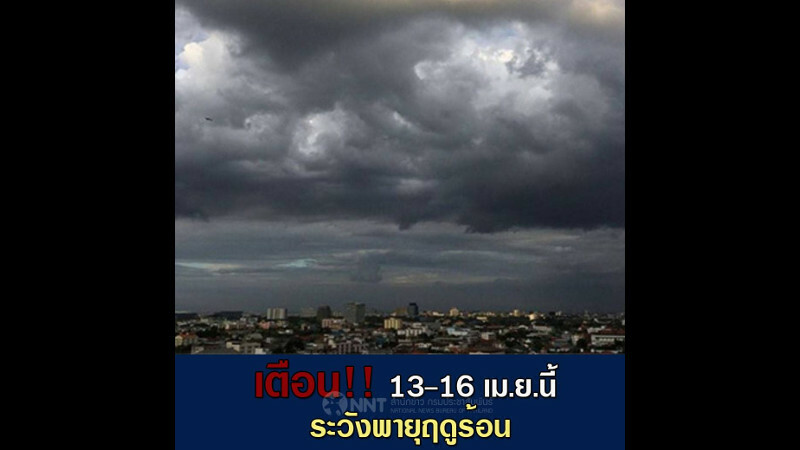 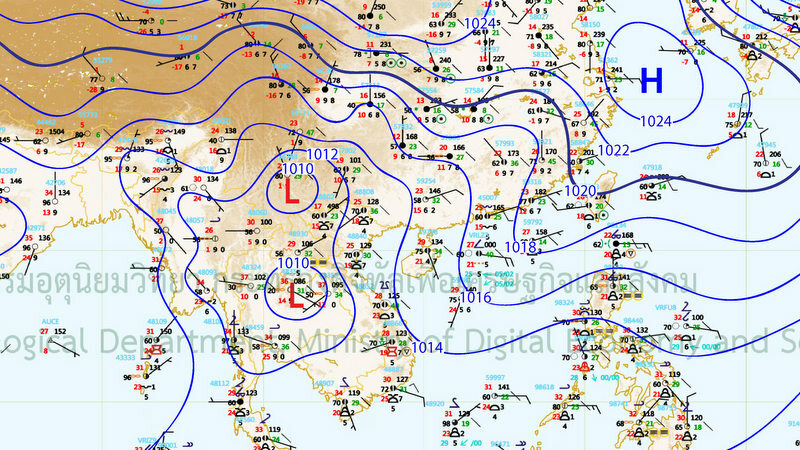 PHUKET: The Thai Meteorological Department Southern Meteorological Center (West Coast), based near Phuket International Airport, has issued as “Summer Storm Warning” for all provinces along the Andaman coast. 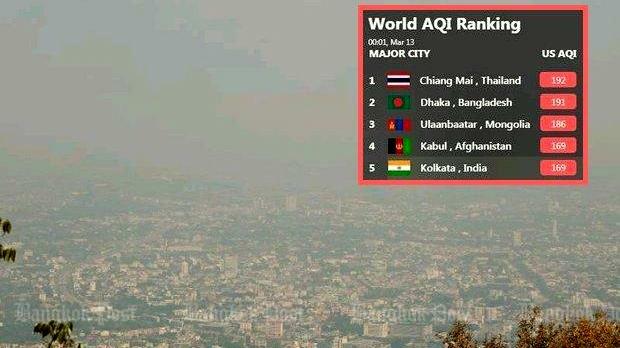 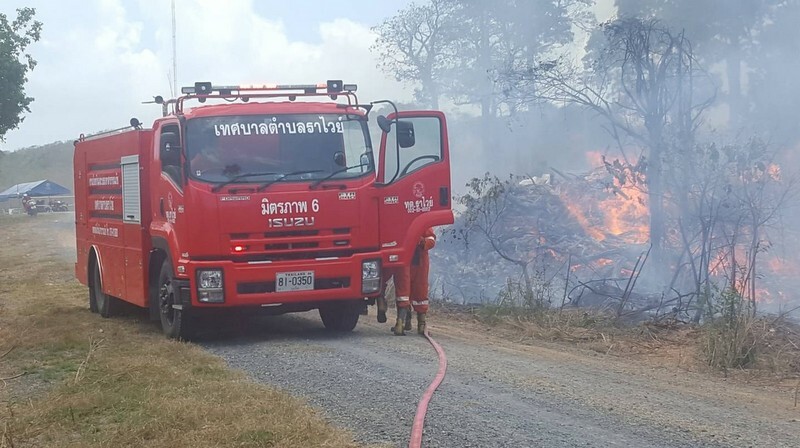 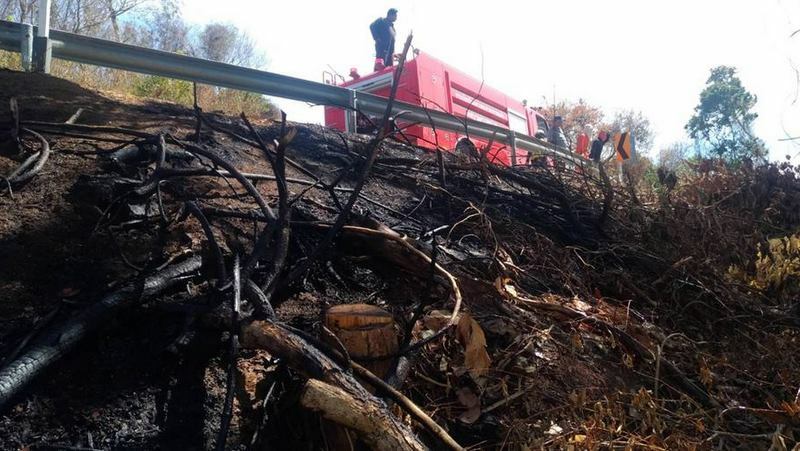 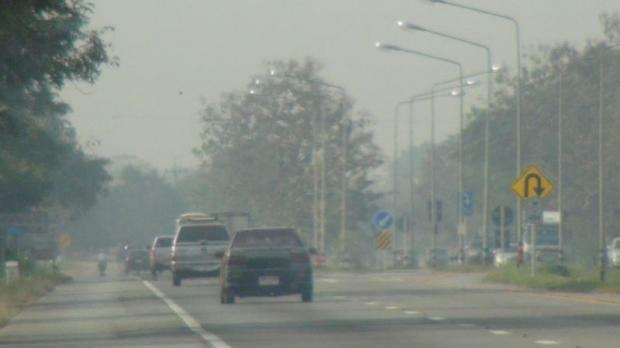 CHIANG MAI: Forest fires have sent air quality in nine provinces to a level considered harmful to people’s health, as cities in the North like Chiang Mai registered air quality that was among the world’s worst.